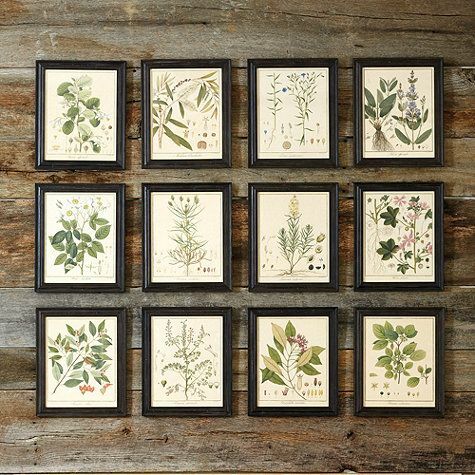 Wall Art Made Easy: Ready to Frame Vintage Botanical Prints features thirty beautiful plant illustrations from Prof. Dr. Otto Wilhem Thomé's Flora von Deutschalnd published in 1903. Within these pages, you will find vibrant full color images such as the Alragene alpina, Fumaria officinalis and the Caparis spinosa as well as many more beautiful plant illustrations. So, if you’re a fan of vintage Botanical images you’re sure to find some that you’ll love to want to display on your walls in all their glory. You can keep the book intact because you receive free access to download each image shown in the book. This gives you the ability to resize the image if you want to and print on the paper of your choice. 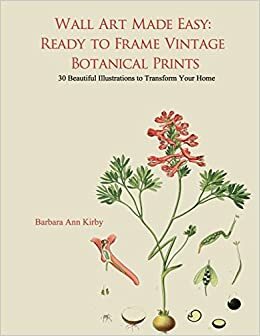 Easily transform your home décor using Wall Art Made Easy: Ready to Frame Vintage Botanical Prints, the far cheaper alternative to buying expensive prints!